No, the farm is free to visit but charges apply when shopping at the Farm Store, picking berries or fruit, exploring the Hill Top Corn Maze or taking a hayride. The Hayloft Playscape & Animal Yard are free of charge. Are dogs (or other pets) allowed at March Farm? No – with the exception of service dogs. What kind of daily activities are available? The Farm Store & Bakery is open daily from 10am to 6pm along with the Hayloft Playscape & Animal Yard. Seasonal Pick Your Own cherries, blueberries, peaches, apples & pumpkins are also available through the summer and fall. Pricing for Pick Your Own items is seasonally based and can be found on their respective pages. Is March Farm open year round? No – we are open May through December. Do you offer a CSA (Community Supported Agriculture) program? Yes – please visit our CSA pages for additional information. When do seasonal activities and pick your own offerings begin & end? Please reference our Events Calendar. What type of events do you host and are open to the public? Seasonal events that are open to the public include Farm To Table Dinners, Harvest Festival, Cyclocross Bike Race, Wreath Making Workshops and a visit by Santa Claus are all special events hosted by the farm and open to the public. Are your baked goods made on the farm? Yes – our baked goods are daily made from scratch in the farm bakery. Are produce items grown on the farm Non-GMO? Yes – we do not use any GMO seeds. Is March Farm an organic farm? Does March Farm apply pesticides/fungicides to crops? Yes, but not to all of our crops and only when certain pest/disease thresholds have been exceeded in accordance to a strict Integrated Pest Management Program. Visit our Growing Practices page to learn more. What apple varieties do we grow? Visit our Pick Your Own Apples page for a complete list of the apple varieties that we grow. How many acres is March Farm and what is the history behind it?  March Farm is a 4th generation family owned and operated farm that is 150 acres and over 100 years old. Visit our History page for additional information. Does March Farm host weddings and other special events? Yes – we host weddings, corporate retreats, family gatherings, birthday parties and other special events. Visit our Weddings, Outings & Events and Hayloft Playscape pages for additional information. When does the Hill Top Corn Maze open? The corn maze opens weekends in September & October starting September 15th from 10AM to 5PM . The corn covers over 5 acres of ground and contains over 2 miles of pathways guaranteed to get you and your family or friends lost. It all depends on how many wrong turns you take. The average person will finish the corn maze within ½ hour. Some people have taken a lot longer and a few a bit quicker. We hope so! It’s designed to be that way. While everyone does get lost to a different degree, we have designed the maze to be an interactive activity that makes a trip inside the maze more than just a walk through some corn. At the beginning of your visit you read a banner describing that year’s maze theme. There are then 7 to 8 points in the maze where a question is asked about what you read at the start with 3 different ways to go. If you choose the wrong way, you will eventually be looped back to the question point to try again. Yes – $8/person (children 2 years old and under are free). The preferred method of payment at the maze is cash (US currency only, please), but we also accept most debit/credit cards. What age is the Hill Top Corn Maze most appropriate for? One of the great things about Hill Top Corn Maze is the fact that it offers something that everyone of all ages can enjoy. From babies all the way up to grandma and grandpa, our goal is to make sure everyone in your group leaves with memories to cherish. Is there a haunted version of the corn maze? Although there is no haunted version of the corn maze, we do offer a Haunted Pumpkin Patch in October. Are you open during bad/inclement weather? Unforeseen weather can force us to close at any time, an announcement regarding any weather closures will be communicated to our staff who will in turn communicate to the public. Our web site and Facebook page will also be updated accordingly. Are there refunds if guests leave due to weather? No, but rainchecks will be issued allowing you to return on a future date. Fritzler Maze is handicap accessible. The corn maze and courtyard itself however are on unpaved farm ground. Wheel chairs, strollers and wagons can be brought on premises and are able to complete the corn maze, but the ground (like any farm) can be bumpy or in some cases muddy in spots. Are there restrooms on site? There are port-o-let units on site. Because we operate in September and October, we recommend being prepared for cool weather. We also recommend wearing closed-toe shoes or sneakers. Remember that you will be in a farm atmosphere and should dress appropriately for the best experience. When is the best time to come to the maze? The corn maze opens weekends in September & October starting September 15th from 10AM to 5PM. Are we allowed to bring our dog with us to the maze? Unfortunately there are no pets allowed in the corn maze (or Farm in general) with the exception of service animals. What are the maze rules? No running; no smoking; no alcohol; no throwing corn (kernels, ears, or stalks); stay on the designated pathways; please refrain from using obscene/derogatory comments, gestures, etc. while at the maze. Our particular process of making the maze is a trade secret, but we can tell you that we plant the whole field in the spring and pull the pathways by hand when the corn is about 1’ high. The design is created as the corn is pulled without the aid of computers and/or GPS systems. Can I eat the corn? You could, but it wouldn’t taste very good. The variety of corn that we grow for the maze is field corn for cattle. Thank you for your understanding and please email us with any questions not addressed in the FAQ!